The families of Justin William Ott and Taylor Nicole Mitchell are pleased to announce their engagement. The bride-to-be is a 2007 graduate of Topeka West High School and attended classes at Allen County Community College for her associate’s degree in science. The future groom is a 2006 graduate of Holton High School and a 2014 graduate of InterContinental University with a bachelor’s degree in business administration specialized in finance. Parents of the bride are Susan Knernschield and Derek and Susan Mitchell of Topeka. Taylor’s grandparents are Glenna Dines Ludwig of Topeka and the late Howard Dines, Joe and Mary Knernschield of Topeka and Bonnie Mitchell of Topeka and the late Clarence Mitchell. Parents of the groom are Kevin and Tina Alford of Mayetta and the late Brent Ott. Justin’s grandparents are Jack and Charlene Shelton of Topeka, Marvin Cloe of Colby and Billy and Betty Ott of Topeka. 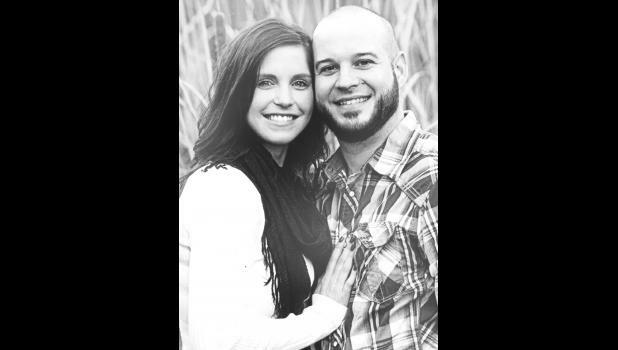 The couple will wed on June 3 at the Dillon House in Topeka.